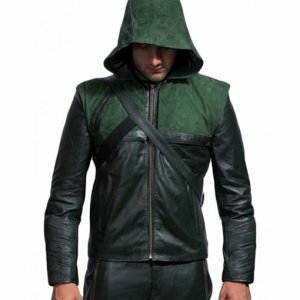 There is am amazing Robin Leather Jacket that is especially designed for Christmas celebrations. Its beautiful color contrast will drive you crazy. 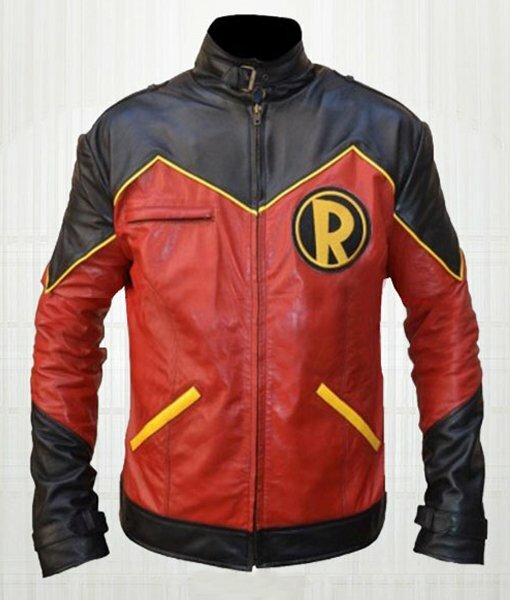 If you are the fan of Batman series and comics, then this jacket is highly recommended for you. 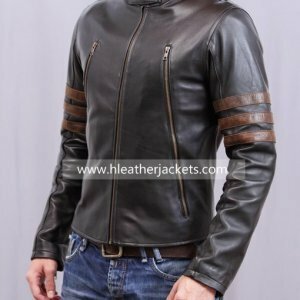 This stylish jacket is available with red and black color contrast that gives you the unique look. 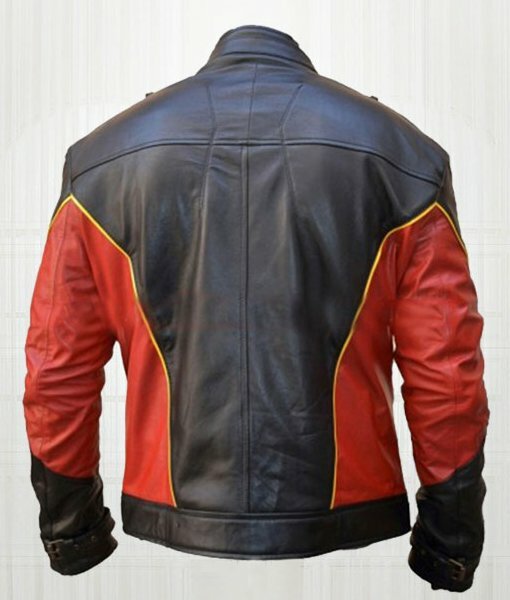 Tim Drake Leather Jacket is made by original synthetic leather with open hem cuff and delicate needlework. Its two-sided pockets and yellow strips design with buckle style collar gave this jacket a ravishing look. Its front open closure and viscose lining enhances the comfort. This is actually much nicer than I expect. I bought this jacket for my 16 years old son. He wants to appear like a character Robin. 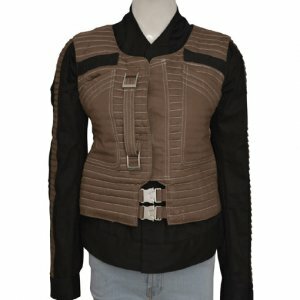 I thought this amazing jacket would be something to get a character’s appearance. I received my order on time. When my son wore it to the costume party, everyone compliments him and ask me about from where I have purchased. Thank you for the perfect material. I was so amazed to get such a beautiful thing for just $159 I mean I have seen it anywhere. Most of the online buyers only complain about the sub-standard material overly priced and thank God this didn’t happened with me. I love the color, I love the design, I love the stitching in short I just love this jacket from head to toe. Cheers!! Hmmm what could be better than having a Superhero look and that is just the real one. I found this Robin Jacket online on your site in my size. I received it within a week and was highly impressed by the product packing, when I opened it I must say I loved the jacket material from the very first touch. Inside it was all silky layer of cloth I couldn’t resist myself from wearing it and My Gosh!!! it fitted me so accurately. Thank you for making us feel valued. Until now I was really against this trend of online shopping because of the fact that there is so much cheating and fraudulent in this industry and they take advantage of innocent people. I got this Jacket as a gift from my cousin and for a while it was hard to digest for me that it was an online purchase. The colors you have dyed this jacket in and the fabric you have used for it is just fabulous I feel like wearing it whole day. Thanks for making me trust n online purchasing. Good Luck.